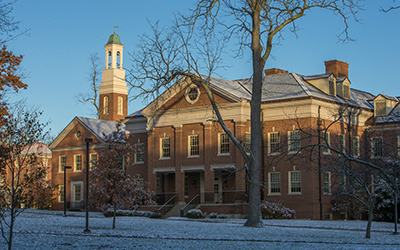 The Office of Strategic Procurement manages a diverse selection of goods and services used by Miami University. Our goal is to develop and maintain a diverse pool of suppliers that deliver strategic supplier relationships that benefit both the University and the community. Your success is our success. Miami to provide a supplier or third party with an open ended indemnity. Miami to litigate or otherwise resolve a dispute under the laws of a state other than the State of Ohio. The contract to be interpreted under the laws of any state other than the State of Ohio. Miami has created a form Side Letter Agreement that modifies the terms of a supplier’s standard contract so that such contract conforms to Ohio law and Miami’s policies, procedures, and guidelines. If a supplier wishes to do business with Miami using the supplier’s standard contract, then such supplier must sign the Side Letter Agreement. Miami will not consider any edits, modifications, or adjustments to its Side Letter Agreement. The purchasing process at the University is centralized with all requests being routed through the Office of Strategic Procurement. Any supplier wishing to do business with the University should contact the Office of Strategic Procurement to personally discuss their company's products and/or services and to express their interest in doing business with the University. It is the objective of the Office of Strategic Procurement to provide procurement solutions to University stakeholders through a competitive bid process where possible and practical. eBid is an Inter-University Council of Ohio (IUC) sponsored online portal for issuing competitive bid events, and receiving quotes and proposals from suppliers. Suppliers who register on the site are able to view bid information from all participating IUC schools, including Miami University. Registered suppliers may submit a proposal for bidding events through the Purchasing Services eBidding System. Miami University supports the State of Ohio Minority Business Enterprise (MBE) program and Encouraging Diversity, Growth and Equity (EDGE) business development program. The University has established goals for EDGE Certified Business Participation for University contracts that include goods, services, construction and professional design services. Similar goals are established for MBE. For further information on MBE/EDGE Programs, please refer to the Equal Opportunity Division. The University is an equal opportunity/affirmative action institution. Under current law, a goal of 15% of goods and services to certified MBE and 5% of goods, services, and construction contracting to EDGE is to be purchased. Minority vendors must be certified by the State of Ohio Department of Administrative services, Equal Opportunity Division, prior to participation. The Office of Strategic Procurement takes the lead role in supporting the goals of the program. Miami University is a tax exempt organization. To see if the University is exempt in the state you're doing business, see Tax Exemption Forms.